Roy Hill, Sr. was born December 31, 1946 in Chambers County, Alabama to the late Inez Stone and late Sanders Hill. He was raised by his Aunt and Uncle Louise & Lewis Holley. He transitioned from this life on earth Sunday, July 1, 2018 at Russell Medical Center. He was preceded in death by his son; Roy Hill, Jr.
Roy attended Laurel High School and continued his education at Southern Union with an Associate Degree in Mechanics. He married Barbara Ann Thomas on May 8, 1967. He united with the Great Bethel Baptist Church under Rev. Milton Nunn. He served in several capacities (Trustee Board member and bus driver to name a few) under the leadership of the late Rev. E.B. Burpo, Sr. He worked at Russell Corporation for many years. 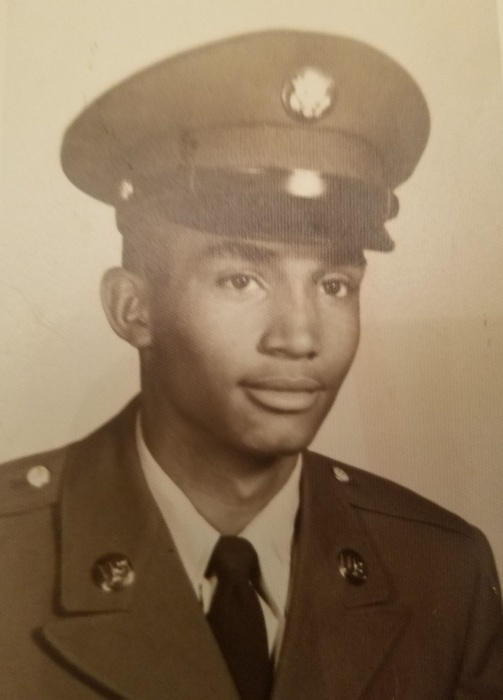 Roy served his country for more than twenty years being a member of the United States Army. He retired in December 2006 as a Staff Sergeant. His favorite past-times were working on cars, reading books, playing cards, listening to old school music, and watching college football games of his beloved Auburn Tigers; War Eagle! He was known as “Paw-Paw” by his grandchildren and “Sugar Hill” by many of his friends. He leaves to cherish his memories; a devoted wife of fifty-one years, Barbara; three daughters; Uvonkia Armour, Dytisha (Larry) Goodgame, both of Alexander City, AL and Okichi Davis of Atlanta, GA and son Derek Glenn of Alexander City, AL; five grandchildren, Brian “Quin” Hill of Atlanta, GA, Aron Armour of Alexander City, AL, Amari Armour of Mobile, AL, Daniel “RJ” Davis, Jr. of Atlanta, GA, and Taylor “Toot” Goodgame of Alexander City, AL. ; one sister, Ms. Dolly Carr of Camp Hill, AL; four sisters-in-law and two brothers-in-law; a host of nieces, nephews, cousins, other family, friends and “Bruce”- grand dog and special son-in-law, Darrell Armour.